Life with chronic illness can be hard, but sometimes websites and blogs can be a great coping tools and resources in helping you feel less alone in your struggle and even learn tips and tricks for how to successfully manage it. I am here to share with you 8 Blogs Dedicated to Chronic Illness so that you have a little extra support on days when it feels like your regular tools might not come so easily. 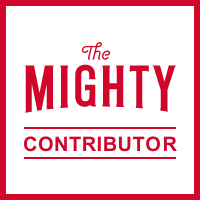 The Mighty is a digital health community created to empower and connect people facing health challenges and disabilities.They have over 2 million registered users and are adding a new one every 20 seconds. Their stories and videos are viewed and shared more than 90 million times a month. The great thing about this site, is that anyone can become a contributing writer and share their chronic illness story. Sharing your story with others can be a healing and therapeutic way to grow in your illness journey and fell less alone. The Chronic Illness Blogger’s Blog is one that I recently discovered and LOVE. One thing I love about it is that it seeks out and shares information and resources from other chronic illness blogs around the web. So if you’re tired of searching for resources, they practically do the work for you! 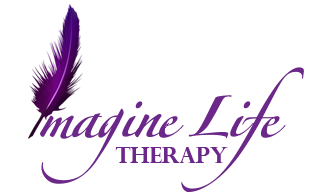 They also review chronic illness related products and services and give honest feedback about their experience. ChronicBabe is a blog written by a woman with multiple chronic illnesses – fibromyalgia, asthma, anxiety, Raynaud’s phenomenon, GERD, thyroid disease and more. Her goal is to create an online community for younger women with chronic health issues who wish to ROCK their lives. Her blog is a wealth of information and loaded with tips and insights. Turning Straw Into Gold is a blog on PsychologyToday by Toni Bernhard about living life through a Buddhist Lens. A lot of her articles focus on being chronically Ill and offer tips and tricks. She is an author and has lived with chronic illness herself and focuses on living a life with joy, compassion and purpose. The Princess in the Tower is a chronic pain blog written by a woman suffering with CRPS (Complex Regional Pain Syndrome) but also writes about Fibromyalgia and general chronic pain. Chronically Strong is a blog written by Shawn, who considers herself an inspiration blogger. She shares pretty much anything that inspires her. She talks about everything from Lifestyle and Pescetarianism, to IBD and Ostomies. She is also a person of color and writes about issues that are relevant to this community. Get Autoimmune Strong is a health and fitness blog dedicated to life with autoimmune illness. She writes about recipes, exercises and other issues relevant to living well with an autoimmune disease. Touched by Lyme is a blog dedicated to Lyme Disease on the Lymdisease.org website. It is written by Dorothy Kupcha Leland, who has a family member with Lyme disease. She is co-leader of a Lyme patients’ support group, and is LymeDisease.org’s VP for Education and Outreach. She is co-author of a book called When Your Child Has Lyme Disease: A Parent’s Survival Guide.The purpose of the blog is First, to explore the personal side of Lyme disease and how it affects individuals and families. Second, to highlight useful information for people seeking answers about this complicated illness. Third, to help foster a sense of unity and shared purpose among the many diverse members of the Lyme community. Thank you so much for including my blog on this amazing list. I really appreciate it! I too look to some of these sites when I need a pick-me-up. Keep up the awesome work!